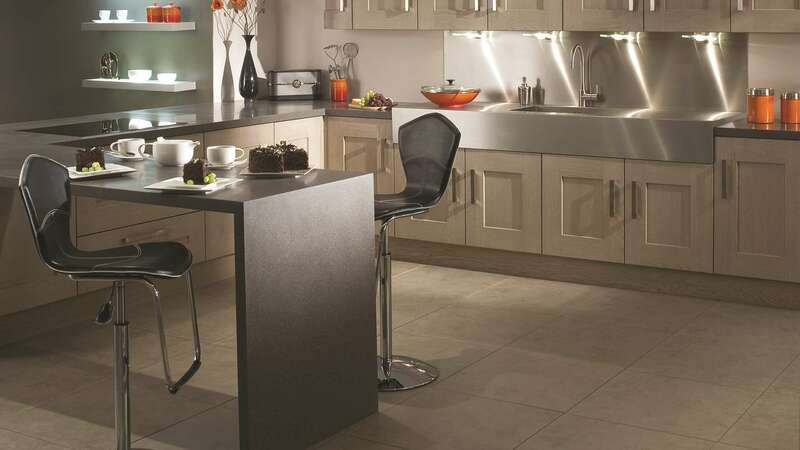 The stained Cinnamon kitchen is from the classicClonmel oak range. 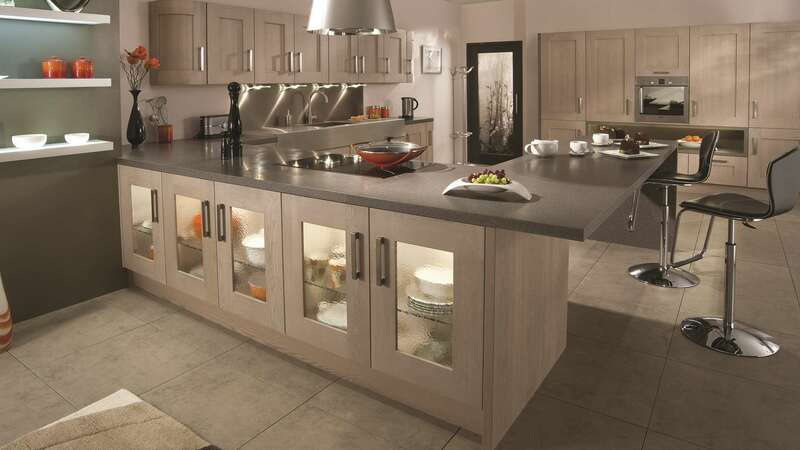 Keeping the Clonmelchunky shaker design, the cupboard doors each come with a centre-placedveneered panel and over-veneered frame. 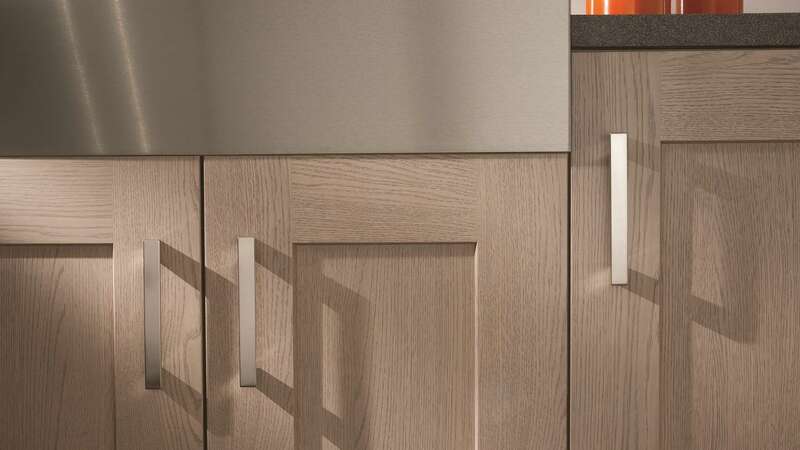 Wood grain is stunning in this stained finish Cinnamon creation.